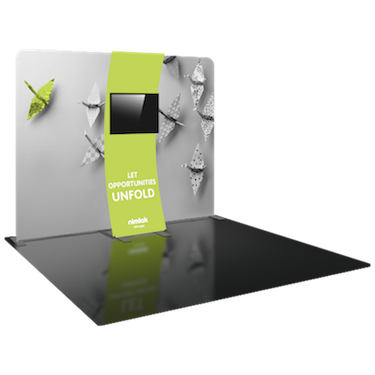 Portable Modular Displays - Fast. Easy. Mobile. AFFORDABLE. FLEXIBLE. EASY TO USE. 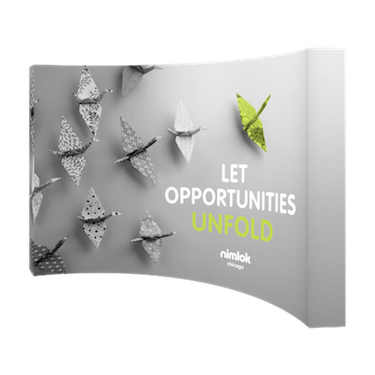 Quick and simple to install, Nimlok Chicago’s portable trade show displays are designed for easy use and prominently represent your brand and message. These displays are excellent for advertising in retail settings, public spaces, and in face-to-face events such as trade shows, media events, fairs, and expos. Many come in their own cases, so they’re easy to ship and store. Best of all, they give you the flexibility and graphic options you need to call attention to your brand. All we need are your graphics, and we can get started on producing your display. Deadline quickly approaching? Ask about our rush options, too. It’s all in the name. Our portable trade show displays are made of lightweight materials, making them easy to carry and travel with. No installation crew needed. All of our portable trade show displays can be set up by one person, and best of all, no tools are required.